Our workshop in Arundel on the Gold Coast is equipped with all the tools and equipment required to perform rust surgery on even the most severe of cases. If you’re considering rust surgery make sure you get it done by a professional who is experienced. Rust tends to spread very quickly through panels if not treated and removed. Get it done once with us, and you’ll be getting it done right the first time! Rust surgery is more commonly done on older vehicles. Like us, blemishes start to appear, but unlike aging, we can put a stop to rust. Cars can rust in almost any environment but the conditions on the Gold Coast (salt water, humidity) can make it easier and a lot more common for rust & oxidisation to form, even if your vehicle is kept in a garage or under cover. Rust surgery for cars is best done sooner rather than later. epoxied then primed before getting it ready to paint. 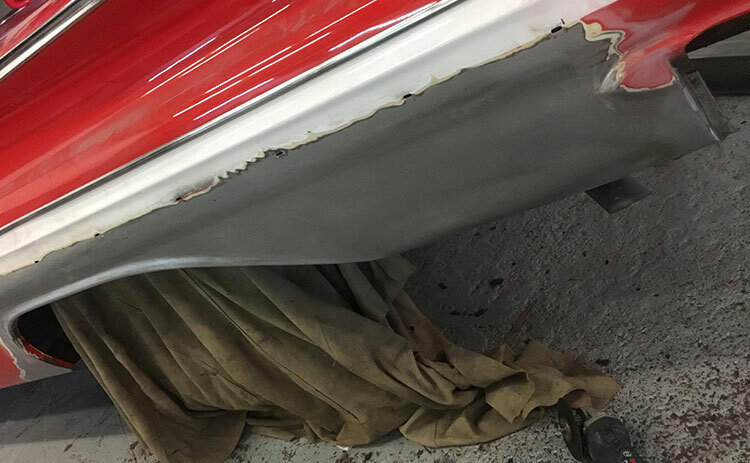 The sooner rust is detected and repaired the less likely it is that extensive work will need to be carried out. Rust that you can’t see can be a safety concern if it is affecting the inner structure that supports the outer bodywork. 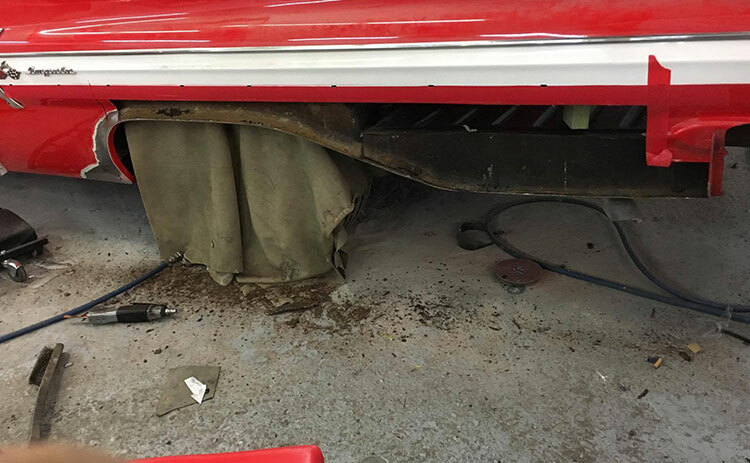 If you think your car, caravan, or trailer might be in need of rust surgery, give us a call or contact us and we’ll be happy to take a look and advise you on the best course of action for your situation.